Whelen Engineering has been leading the way in the emergency warning industry since 1952. With leading technology in L.E.D. 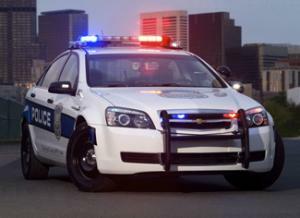 lightbars, LED beacons, sirens, and public warning systems. Havis manufactures mobile office solutions for a variety of industries. For over 80 years, Havis’s mission has been to increase worker productivity with products that are built to the highest safety and quality standards and are designed with comfort in mind. Pro-gard Products has provided the safest, most durable law enforcement products designed to perform on the open road. They take pride in the craftsmanship and quality that goes into making their products the safest and most reliable in the industry. All Fleet Solutions has made wiring a public safety vehicle easier and more efficient by providing detailed schematics along with well labeled complete wiring harnesses. Garrett Metal Detectors manufactures the most advanced metal detection products from hand-held wands to walk-though detectors.